An Amazon Fire TV Stick is what we will be installing Showbox onto to get our FREE Movies & Tv Shows. It is available from Amazon as well as many other online and local stores. 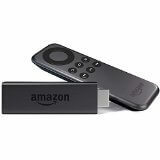 To purchase an Amazon Fire TV Stick from Amazon, Click Here. Getting Showbox installed onto your Amazon Fire TV Stick will seem tricky at first but after doing it once it will be very easy to do it again in the future if needed. Simply follow these simple steps below to get your FREE Movie & TV show access. Download the latest Showbox APK file for your Amazon Fire Tv Stick by clicking here – Save this file onto your computers desktop so that it can be easily found later on. Simply click OK as this is needed to install Showbox onto your Amazon Fire TV Stick. Now we need to find the IP Address of your Fire Stick so that we can install the Showbox Application. Navigate to the desktop of your computer to find the Showbox APK we downloaded earlier. A little notification in the bottom right of the window will indicate the progress of the Showbox installation on your Amazon Fire TV Stick. You will get an Installed notification when complete – Congratulations! Congratulations! You have now installed Showbox onto your Amazon Fire TV Stick! Once you have opened Showbox for the first time on your Amazon Fire TV Stick give it a minute or so to finish its initial loading/refreshing of latest TV shows/movies for you to watch. That’s it! You now have access to all of the very latest movies & TV shows, all for free.